The EP will feature three songs and is out on August 10. 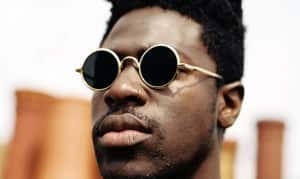 Moses Sumney shared a new song and news of a forthcoming EP on Wednesday. Sumney teased the new track, titled "Rank & Fall," via Instagram on Tuesday night. The song's accompanying clip features a mold of an infantry soldier standing in front of a blood red background, steadily melting as the song progresses. The Black in Deep Red, 2014 EP will feature three songs and is set for release on August 10. Check out "Rank & File" above. Thumbnail image courtesy of Emma McIntyre via Getty Images.